Spiritual life and Augustinian Recollect spirituality. Beginning immediately after the Second Vatican Council, and continuing for a long time, the low regard in which popular religiosity was held lead to the fading away of our particular spirituality in the eyes of the faithful, with the loss of associations, guilds, and even fraternities. Participating in diocesan pastoral programmes meant that what was specifically Recollect was forgotten and eventually lost. Starting from the final third of the 20th century and continuing to the present day, the province has cultivated the values of its spiritual identity, in part in response to the demands of the faithful, with many different activities in our own formation processes, which have been seen in the revitalization of the fraternities, in the birth and development of the Augustinian Recollect Youth (JAR, from its initials in Spanish), in the social and evangelizing work of the Haren Alde non-government organization, and other groups and activities in support of the missions and social undertakings. From the second decade of the 21st century onwards, we have also had the creation, development, and strengthening of the Augustinian Recollect Spirituality Centres (CEAR, from their initials in Spanish). 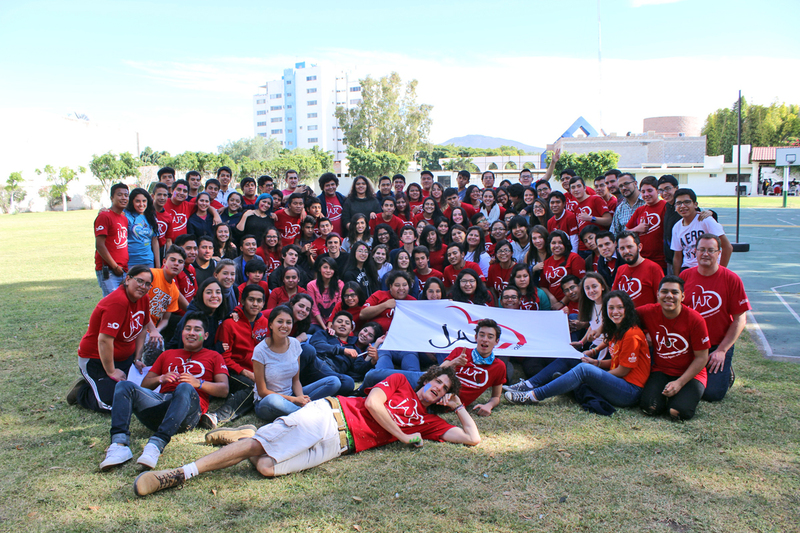 Meeting of the Augustinian Recollect Youth (JAR) in Queretaro, Mexico. Echoing the teachings of the Code of Canon Law, the Apostolic Exhortation Vita Consecrata, and the Instruction Congregavit Nos in Unum Christi Amor, our Constitutions (No.279) remind us that “the Order’s own way of sanctification and of participation in the apostolate demands a necessary integration into the life of the Church…our communities can and must be centres of prayer, recollection, and of personal and communitarian dialogue, offering initiatives and specific services with generosity in that which concerns contemplation and community, so that the people of God find in us true masters of prayer and agents of communion and of peace in the Church and in the world”. This is the route for religious in the service of the society around them. The Order thereby strengthens the religious identity of its members and of the faithful within our ministries, whilst the local churches are enriched by what our charism has to offer. In this sense, the Augustinian Recollect Spirituality Centres (CEAR) have been set up precisely to live out the Augustinian Recollect spirit in the lives of religious and of the faithful. Their purpose is to “offer formation and spiritual experience on the basis of the Augustinian Recollect charism”. There are four basic points on which the formation offered revolves: Augustinian prayer workshops; personal accompaniment; personalized attention and enrichment of values, and the importance of the interior life. House of the Recollection, headquarters of the CEAR for Central Mexico, Ahuatepec de Morelos, Cuernavaca, Mexico. The first CEAR (Augustinian Recollect Center for Spirituality) was established in Mexico and later in Costa Rica (2010) and Spain (2015). In Mexico the main centers are in Ahuatepec de Morelos (near to Cuernavaca) and Querétaro. In Costa Rica they rely on the facilities of the Postulancy of Pozos de Santa Ana and in the Parish of Our Lady of Carmel in Alajuela. Although it also carries out a curious itinerary throughout the country. In Spain, it is held in the Parish of Saint Rita and in the Formation House of Las Rozas (Madrid). An important lesson derived from this experience is that of the great desire for knowledge. Especially for the search for God by all those who come to the CEAR´S in order to take part in their activities. Starting with the 2010 General Chapter, the Province has striven to revitalize by promoting different formation activities and in evangelization, emphasizing our particular spiritual riches and charism. At the 2016 General Chapter, resolutions concerning restructuring were drawn up taking into account the reorganization of the religious Provinces that have constituted the Order of Augustinian Recollects. One of the four Provinces that will make up the Order from 2018 onwards is that of St Nicholas of Tolentino, to which the Province of St Augustine will be joined, with communities and ministries in the United States and one in Mexico City. During the long post-conciliar period, the formation of aspirants to religious life in the Province of St Nicholas of Tolentino gradually spread to different countries at the various grades of the formation process. This went from minor seminaries where adolescents and young people studied the compulsory education curricula, to the final stage of the initial formation of the religious, with theological studies and our specific formation prior to finally becoming part of the Order as solemnly professed religious. Monteagudo and Marcilla respectively were the seats of the novitiate and the theologate, until the transfer of the latter to the St Augustine formation house in Las Rozas (Madrid). Monteagudo remained as one of the Order’s three novitiates. From 2012 it has been the Order’s Prior General who appoints the formation team, underlying Monteagudo’s inter-provincial identity. 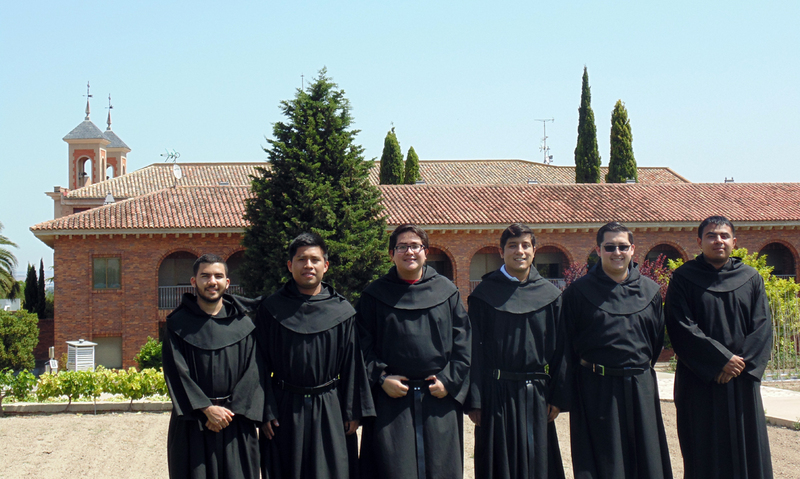 The Augustinian Recollects’ European novitiate in Monteagudo, Navarra, Spain. As the years went by, Spanish and Anglo-Irish vocations gradually declined, at the same time as they increased in the Philippines, Mexico, Costa Rica, and Brazil; in this way, there has been an important process of internationalization of the Province. Formation has known how to maintain a balance between tradition and modernity that has rescued it from many crises. 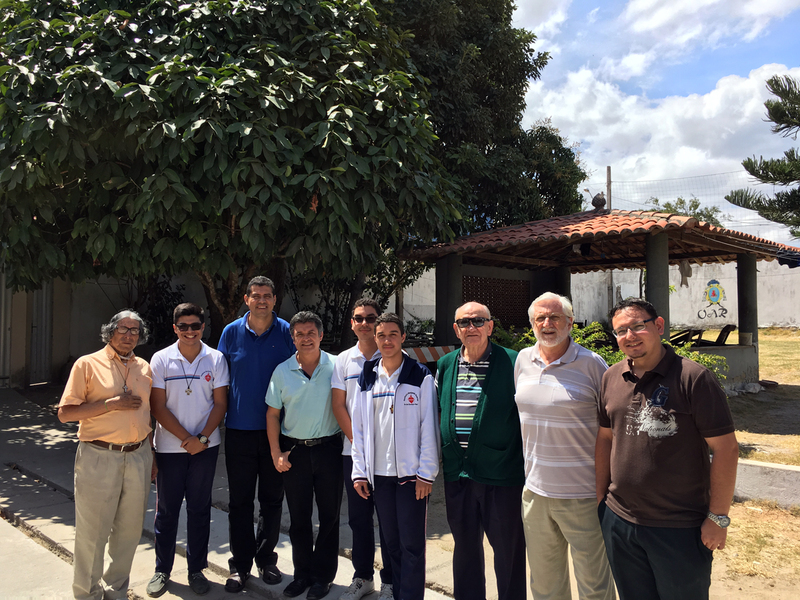 There has been collaboration with other provinces in opening its novitiate and theologate to their novices and religious in initial formation -St Augustine, St Thomas, St Joseph, and Consolation- and lending formation personnel to the provinces of St Augustine (United States) and St Rita (Brazil). In the present day, these undertakings of inter-provincial collaboration continue to be strengthened and guided under the direction of the Order’s Generalate. Spain. Until 1970, Spain was a seedbed of vocations with years of strong growth for the Province in the numbers of religious, and as many as five formation houses functioning at the same time. However a progressive secularization, and the reduction in the levels of perseverance- despite the selfless work of the formation personnel- brought about the need to follow painful courses of action in the face of many people’s incomprehension. What is certain is that a new understanding of religious vocation, insecurity, and discussions between formation personnel and those religious in positions of authority concerning the viability and desirability of seminaries for boys and adolescents, coupled with the particular course of Spanish society, lead to the gradual closure of all these minor seminaries in the country: Fuentarrabía in 1982, Valladolid in 1992, and Lodosa in 1993. The former minor seminary, Lodosa, Navarra, Spain. The Philippines. By 1985, all Filipino vocations were able to follow the complete formation process in their own country, given that there was a minor seminary (San Carlos, founded in 1960), a postulancy for the study of Philosophy (Baguio, 1965), a novitiate (Baguio from 1953 and then Antipolo after 1991), and the final stage of initial formation and theological studies (Mira-Nila, 1985). In this way, the Philippine Recollection was ready for its independence at the appropriate time, which came about in 1998 with the erection of the Province of St Ezequiel Moreno. 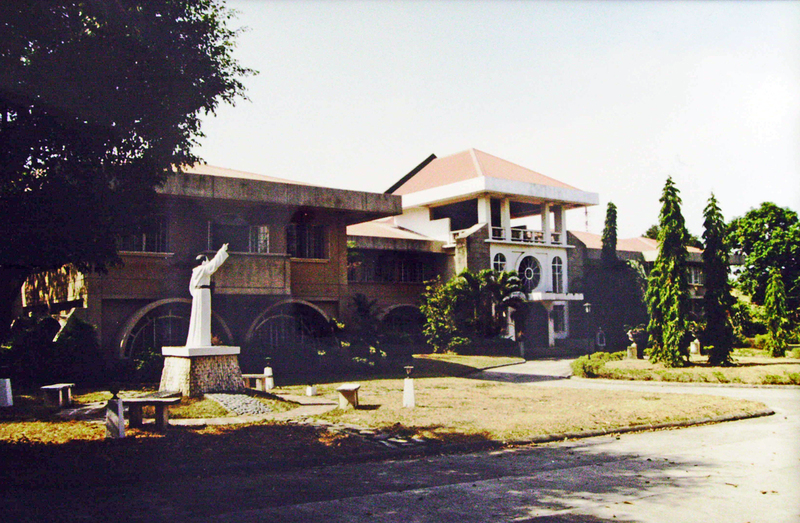 Novitiate in Antipolo, Rizal, Luzon, Philippines. Mexico. This country has been witness to various ups and downs in caring for vocational promotion and initial formation. From 1950 to 1955 San Felipe del Progreso was the first seedbed of vocations, and a novitiate was set up in Aculco (1951). However, from 1959 Mexican vocations followed all stages of the formation process in Spain, starting with the novitiate. 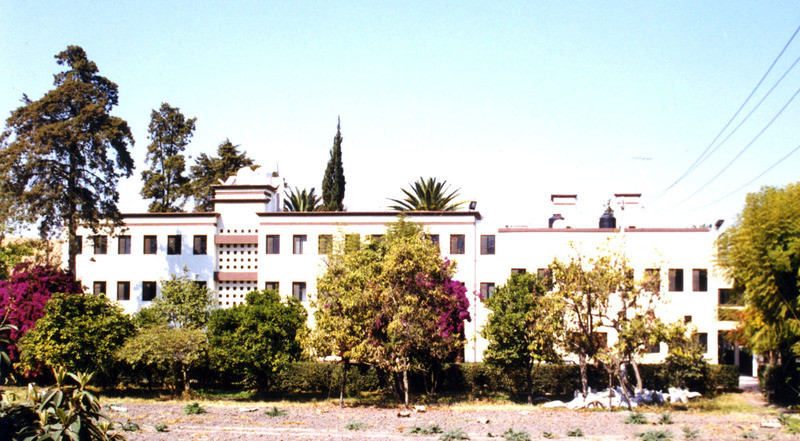 With regard to the earlier vocational stages, since 1955 there has been the St Pius X house for aspirants in Querétaro, at present the only surviving “minor seminary” in the Province. 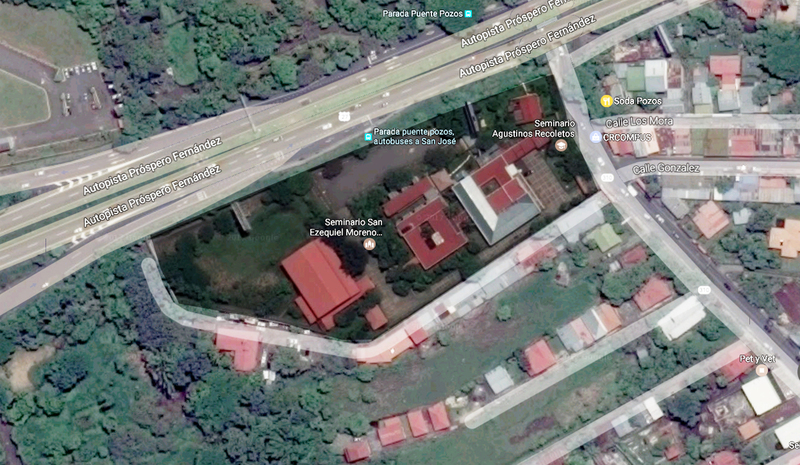 In 1981 a community for philosophy studies was opened in Coyoacan, in Mexico City, until in 1987 it was transferred to the new and well-equipped postulancy of St Augustine, also in Mexico City. 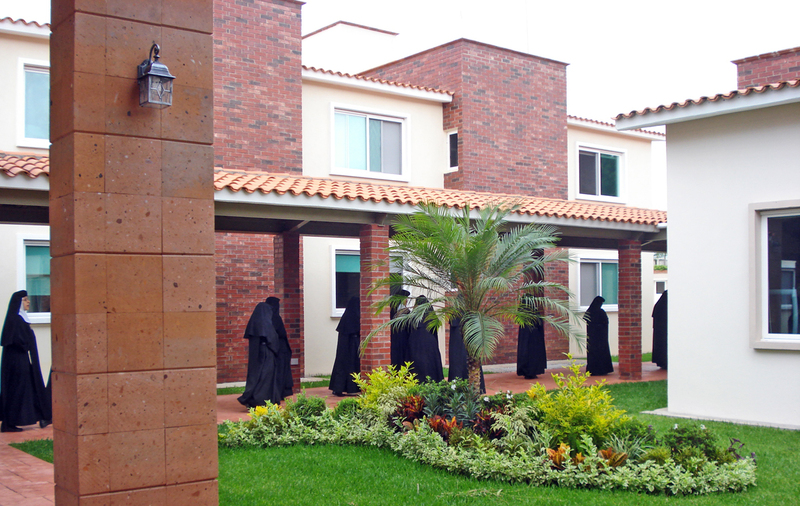 St Pius X House for aspirants, Queretaro, Mexico. Costa Rica. Despite one or two vocations that came to maturity in earlier years, a more systematic way of cultivating vocations came into operation from 1984 onwards, making use of the facilities in the Ciudad de los Niños (Boys’ Town). In 1991 a new seminary for the postulancy was opened in Pozos de Santa Ana (San José), under the patronage of St Ezequiel Moreno. From the novitiate onwards, Costa Rican vocations join their companions from the rest of the Province in Spain. St Ezequiel Moreno Postulancy, Pozos de Santa Ana, San José, Costa Rica. Brazil. The reception of Brazilian vocations within the province of St Nicholas of Tolentino began in a systematic manner when the Province arrived in Guaraciaba do Norte (Ceará), where the general conditions for the Church was much more favourable than in Amazonas, until then the only place where it was present. Encouraged by the favourable outlook, St Ambrose house for aspirants was opened. In 2002, because of the encouraging results obtained in Guaraciaba, the Province opened a philosophy house in Fortaleza, capital of Ceará state, where the inter-diocesan Faculty of Philosophy operates. Despite the considerable investment in resources and personnel, in 2016 it was decided that the philosophy students of the province of St Nicholas of Tolentino in Brazil should do the pre-novitiate stage of formation in the philosophy house in Franca (Sao Paulo), which belongs to the Province of St Rita. The house for aspirants still functions in Guaraciaba. St Ambrose House for aspirants, Guaraciaba do Norte, Ceará, Brazil. China. With the reopening and normalization of communications in both directions across the Chinese frontier, the visits of religious from the Province to their brothers in China, and the departure of Chinese students and religious for the rest of the world, has become a regular feature from the beginnings of the 21st century. This has not only meant that the religious in China have had access to a better on-going formation, and greater resources for initial formation, but also that several Chinese candidates for the Augustinian Recollect religious life have followed their formation process with the rest of their companions from the Province in formation houses in Spain. This has enabled them to learn Spanish, to increase the level of access to information and to formation resources, better access to the sources of our charism, and to eradicate the historic isolation of the consecrated life in China. 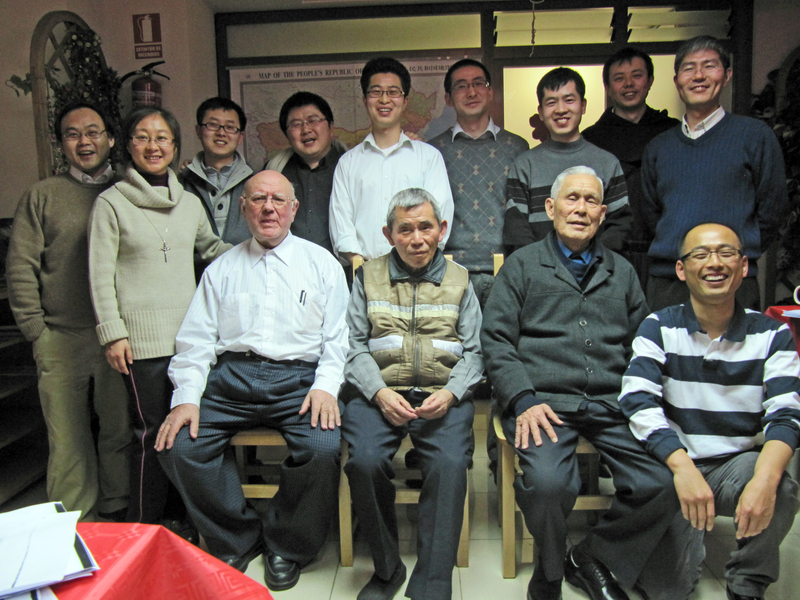 Members, candidates, and friends of the Augustinian Recollects of Chinese origin celebrate the Chinese New Year in the St Augustine Formation House, Las Rozas, Madrid, Spain. A celebration this is already a firm fixture in the calendar. England. Vocations from what was at the time the Vicariate of England -in considerable numbers up to 1970 and many of whom were from Ireland and Northern Ireland- began to be few and far between from the 1990s. 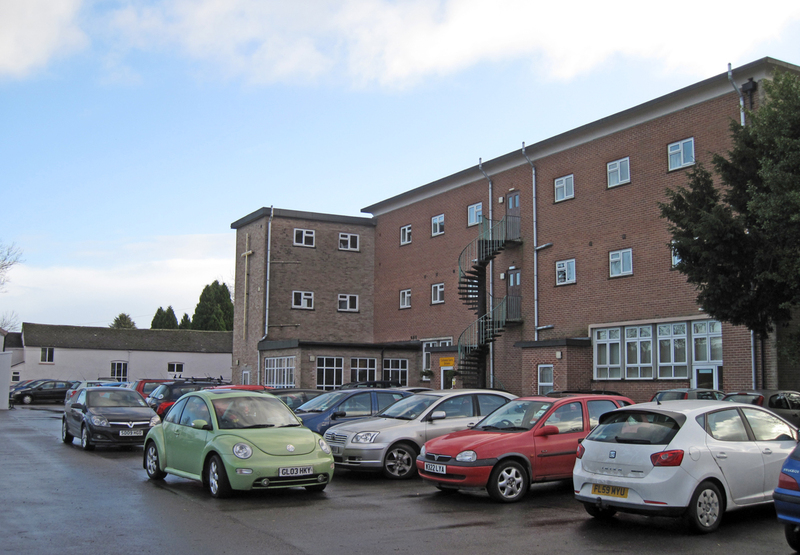 Despite the seminary of Honiton having been improved and expanded in 1960, from the end of the 1970s it became essentially a centre for spirituality and a location for summer courses. The Vicariate was a pioneer in the search for candidates through advertisements in the Catholic press, and candidates from the United Kingdom followed their philosophy studies in London, and the remainder of their formation process in Spain, with their fellow students from around the world. Buildings of the former Honiton seminary, today a house of spirituality and summer school venue. United States. In this country, vocations that have emerged for the Province of St Nicholas of Tolentino have chiefly been from Hispanic backgrounds. At the beginning of the 21st century the Province decided to commit to serving the Hispanic community in Union City (New Jersey). The Recollects set up their community of St Nicholas of Tolentino, and prepared the house so that it could accept aspirants to the religious life. Levels of perseverance have been low. At the same time, in many cases the option has been for personalized solutions, according to the number of candidates; accordingly, some have followed almost the entire process in Spain or, in one or two cases, in Mexico. 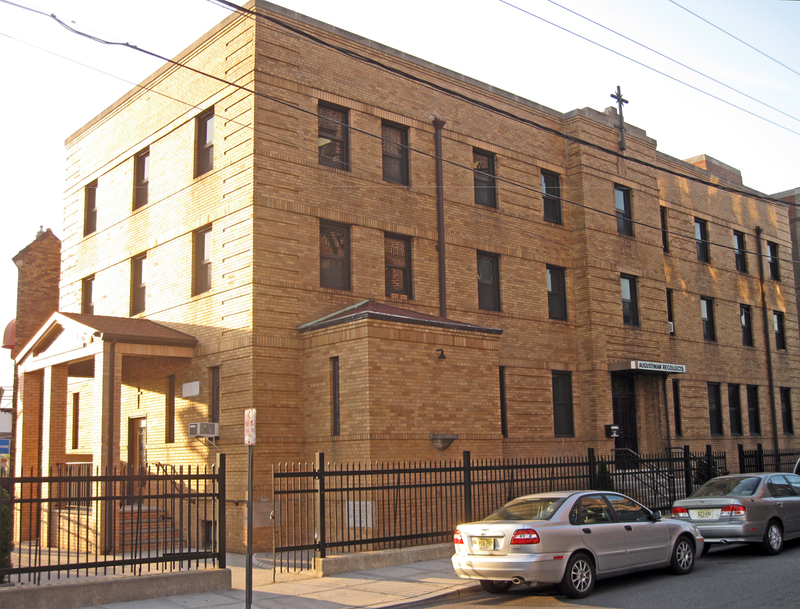 Monastery of St Nicholas of Tolentino in Union City, New Jersey, USA. One of the features of the Province of St Nicholas of Tolentino has been its generous collaboration with the governing body of the Order and with its sister provinces. Its houses of formation, especially those of Monteagudo and Marcilla, have always been open for working together in the formation of vocations from other provinces, in particular from 1953 onwards. In the same way, it has gone to the aid of other provinces (St. Rita, St Augustine, St. Joseph, St. Ezequiel Moreno), providing religious for formation as well as for socio-evangelizing work in the most difficult places. 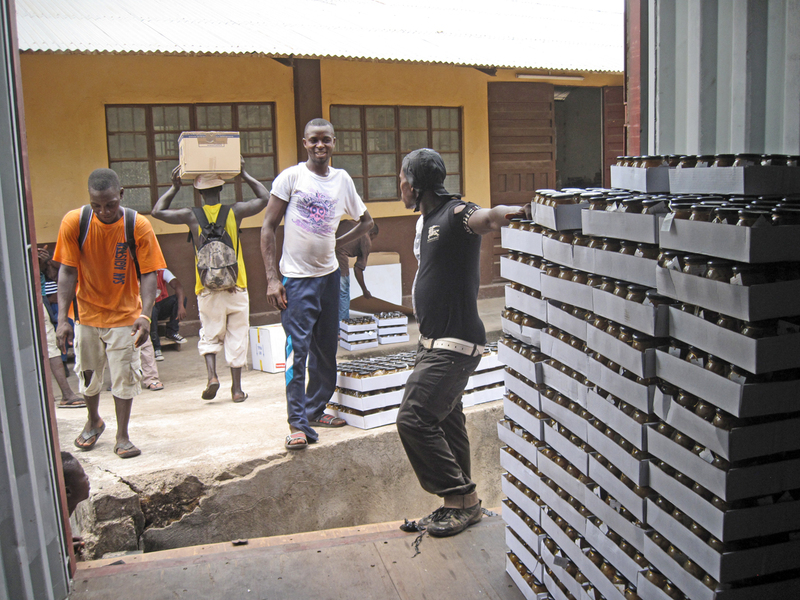 The province collaborated in the Chota mission (Peru), sending two volunteers; a further ten went to the Labrea mission in the Amazon region of Brazil, going so far as to assume responsibility for it; and, until 2015, it helped with personnel and vitally important materiel in the Order’s only Africa mission, in Sierra Leone. For almost five years, one or two containers set off every year, with food and social aid from the schools and colleges of the Province of St Nicholas of Tolentino in Spain. They were destined for the Sierra Leone mission of Kamabai. In December 1998 the Province of St Ezequiel Moreno came into being, formed by the communities and ministries of the Province of St Nicholas of Tolentino in the Philippines, Taiwan, and Sierra Leone. It was a natural development, and a sign of the maturity and ability of the communities forming the new province to run themselves, as well as a way of giving a certain structural relief to the mother province, which until then had houses in four continents and was so large that routine administration was a challenge. The Province of St Nicholas of Tolentino has shown a fraternal interest in helping the Augustinian Recollect nuns, especially through their two national federations. Two of our religious have supported the Spanish federation of nuns as spiritual guides (1992-1999, and from 2005 to the present day). In Mexico, the federation’s spiritual guide has always been a religious from the Province since its foundation in 1988. There is daily collaboration between certain communities of the Province that serve as official chaplains and particular convents of nuns, and in the field of ongoing formation join programmes and activities have even been established in Mexico. Human , charismatic, and spiritual formation such as talks, spiritual exercises, formation courses, the ministry of attending to chaplaincies and economic support for the monasteries and their infrastructure have been very important through a continuous and generous contribution. In part, this has been out of gratitude for the vital spiritual support that comes from the contemplative branch of the Augustinian Recollect family through prayer and witness of life. 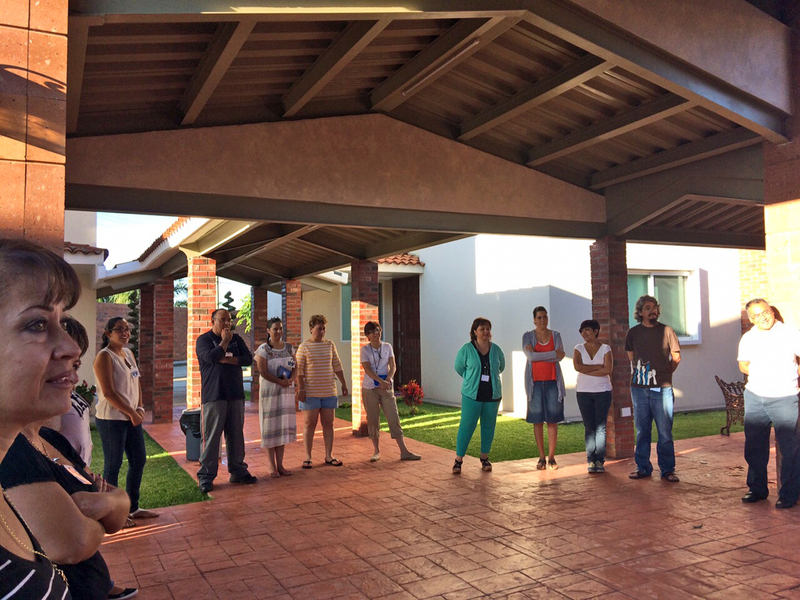 Formation meeting for the Augustinian Recollect nuns of the Mexican federation, in the House of Recollection in the outskirts of Cuernavaca, Morelos, Mexico.